You spend most of your life working hard and spending a lot of money. Hopefully, you saved a little money too. When you retire, everything you know about managing your money by experience gets turned upside down. This is because you are no longer receiving a paycheck from work and you need to adjust the ways you spend. When you retire, you have to make due with and maximize what you already have. Instead of saving money, you now have to have an income plan in an unpredictable retirement scenario. You just never know how things will be played out. Whatever you have been doing the last 40 or 50 years, it all changes upon retirement. Here are a few practical income strategies. Every penny counts when you are managing retirement income. This holds especially true when it comes to tax savings. Every retirement account you have could be taxed differently and you need to think strategically when you want to make withdraws. Also, be aware of how much money you withdraw in a year and how that impacts your tax bracket. Taxes are really complicated and what works for your buddy might not work best for you. Your best bet is to look for a good financial advisor upon retirement. You will want someone with experience and who is familiar with strategies that will save you money in taxes. In all likelihood, your home is your most valuable asset, but not your retirement savings. But there are still plenty of ways in which you can turn your home into retirement income. One way is by getting a reverse mortgage, then you can actually make money in the form of a lifetime annuity or secure a line of credit. You get to stay in your home as long as you wish and it provides a reliable stream of income. You can also cash in some of your home’s equity and downsize. You really don’t need that five-bedroom house anyway. It may even be possible to rent out part of your home, which is a great way to generate cash flow. Upon retirement, we tend to spend a little more money than we did while we were working. As we age, our spending habits change and we buy less. This is a trend that is predictable, but there are spending shifts that aren’t so predictable. For example, you need to be prepared for medical expenses, which can cause a spending spike. If you wait to start Social Security until the maximum retirement age, you will get significantly more than if you start getting it at age 62. It’s a no-brainer, right? However, there are other factors to consider. 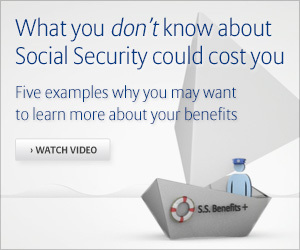 In fact, it might make better financial sense to go ahead and receive Social Security at age 62. It’s something you need to discuss with your financial advisor. Wealth management is an important practice for every individual and business. Managing income, investments, tax and other sources of cash helps you monitor the money you make. IT is necessary to protect your wealth and always know the status of your finances. It is easier to make informed decisions about your money when you know how it is performing. The assessments of your current financial status and your goals are necessary to help you identify and plan your actions carefully and accordingly. Gap analysis lets you evaluate your resources and enables you to see the strengths and weaknesses of your plan. We offer a comprehensive analysis of your financial health. We provide you with details of the current status of your money and where you stand. It is far easier to make investment decisions when you have this information. Comprehensive financial advice also includes a review of your retirement planning needs. Annuities generally fall into two categories: deferred and income. Each works differently and offers unique advantages. Annuities are insurance products that provide long-term income through future payments. There are many benefits to these investment products tax-sheltered growth, long-term security and care for beneficiaries. Choosing to fund an annuity is a personal decision that should be discussed with your loved ones before making a decision. When you meet with your financial advisor you will want to ask which annuity is right for you. For many people, their first experience with life insurance is when a friend gets hired by an insurance company and they give you a call. Usually, you are young and the thought of life insurance just seems silly. But as you age, you begin to think that maybe life insurance isn’t such a bad idea after all. There are many reasons you might want to seriously consider life insurance. Do a little research to find out the cost of a funeral and burial, it can run into the tens of thousands of dollars. You don’t want your spouse or children to have to cover that. Especially during what will be an emotional situation. Any parent wants to make sure their children will be well taken care of in the event of your sudden and unexpected death. Should you have accumulated any debt, you would want this paid off in the event of your death. It’s not a burden you want to be passed on to others. There are many decisions to make when acquiring life insurance. For example, you need to know how much coverage to buy. Meet with your financial advisor and iron out a solid plan. The best benefit of life insurance is that it gives you peace of mind. That old line about death and taxes holds as true today as it did more than 200 years ago. Taxes are just a normal part of our lives and people often ignore them until it’s time to file a return. Unfortunately, by then it is too late to implement a strategy that would minimize the amount you pay in or maximize the amount you get back. When it comes to investing your money, it’s not just about how much money you make that matters, it’s also about how much money you save in taxes as well. With a bit of planning and help from your financial advisor, you can maximize the tax efficiency of your portfolio and help reduce the effect of taxes on your investments. According to recent data from the Bureau of Labor Statistics, the average American worker will only spend just under five years with an employer before moving on. When you do decide to change jobs, one of the tasks you need to do is transfer your retirement plan. Neglecting this task could leave you with a trail of retirement accounts from different employers. This could mean nasty tax penalties or a check from your former employer if you did not reinvest in time. And if you do decide to leave your 401 (k) at each job you had, it will get rather difficult keeping track of multiple accounts. Of course, there will be questions about rolling over your accounts into one. Which is why it is a good idea to contact your financial advisor. The good news is that our life expectancy continues to increase. This means that long-term care is a reality more and more of us are going to face. In fact, roughly 70 percent of people 65 and older will need some form of long-term care in their lifetimes. Home health care and skilled nursing are services that won’t get any cheaper. When it comes to planning for long-term care, there are several options to consider. It all starts with a phone call to Roberts Wealth.